To steal from an old song title, “It’s beginning to look a lot like Italy” in Wisconsin. We have the Wedgers’ GOP, which operates on the absurd premise that if they stack up enough single-interest groups they will get the general interest. Lately they don’t even get a majority which will win elections. We have the anti-taxers, who are really anarchists in disguise. We have the Wisconsin Prosperity Network, which does what the Republican Party was organized to do but does it independently, outside of, alongside of, and in competition with the party or something. And, of course, we have the party itself which, despite the energetic efforts of its new chairman, seems to have been abandoned to or taken over by the pro-life, anti-gay, pro-gun sideshows. 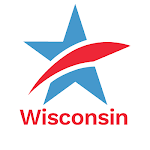 This rush to fragmentation seems to have been inspired by misreading the success of the Democrats with their One Wisconsin Now, Greater Wisconsin Committee and Advancing Wisconsin organizations. A couple of things seem to have been overlooked. First, the Republicans longest recent run in power was under the aegis of Big Tent Tommy Thompson, who welcomed all the interests and was beholden to none. Second, the Democrats’ success in 2008 was clearly due to the ability of Barack Obama to unite the incompatibles within that party and to attract large numbers of unaffiliated newcomers plus a lot of the disaffected, unorganized “former Republicans” who felt they were not leaving the party but the party had left them. My suggestion to the GOP was to rebuild the big tent party, reunite the factions, support their new pragmatic centrist leader, and marginalize the sideshow single social-issue groups. To do this on a scale large enough to put the party in its once dominant position it will be necessary to get the money flowing back to the proprietors of the big tent. A way to do this was proposed in 1980. 1. Prohibit political action committees from contributing directly to individual campaigns. 2. Reduce the limit that individuals (including the candidates themselves) can contribute to candidates. 3. Raise the limit that political action committees can contribute to political parties. Is there a candidate or a potential candidate who wants to unify instead of segment the voters? If so, please step forward before the Wisconsin Republicans are divided into so many camps that they make Italy look monolithic. Footnote: the speech outlining the reasoning behind these 1980 proposals and what enacting them was intended to do can be found in the State Historical Library. I also have a copy, and will forward it to anyone who can show me how to scan it into my computer.